StandUp Nashville members silently held up signs during the council debate March 19, 2019. Last year the CCA filled a $10.5m shortfall in the city budget. In June 2018 the CCA had about $125m in cash and other revenues. The CCA had promised between $1.5-$3 million for the proposed transit plan which did not pass. 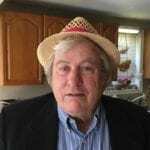 The point is, there is precedent for the idea and it is within the stated legal uses of CCA funds. “Can you ensure that we can take back our tax incentives if Amazon doesn’t deliver on the jobs they have promised us?” asked Clarice Rankin. During the Public Comment period, five people spoke against the deal. 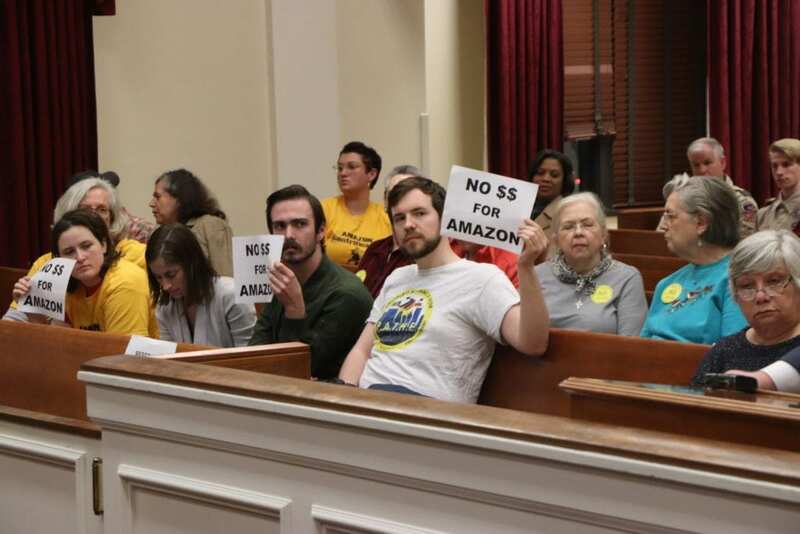 StandUp Nashville, a coalition of labor and community groups, believes Amazon will benefit but doubts city residents will. Metro’s $17.5m is a small part of a $102m package of incentives Amazon has been offered to open a hub in Nashville. Although the tech giant could pay $5m a year in property taxes it will get $65m in cash grants from the state and $21.7m in job tax credits over seven years. “What can we expect from Amazon? They mistreat workers wherever they go. 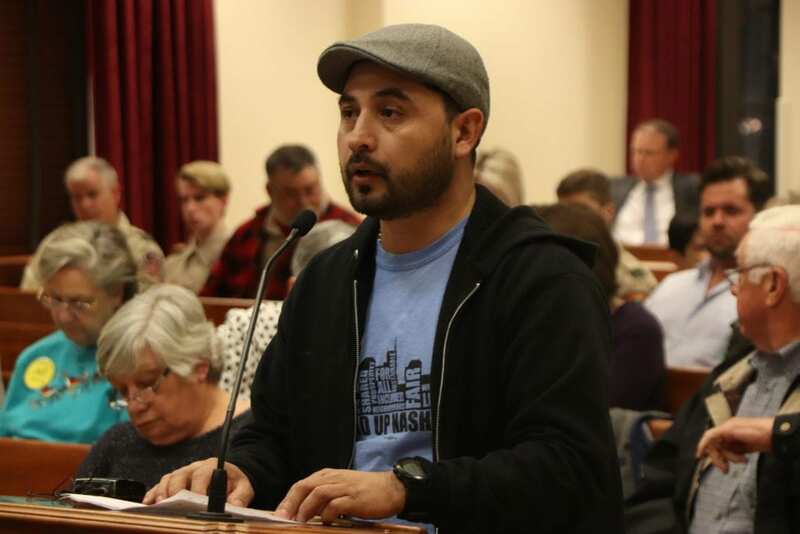 Rent increase where ever they go,” said Julio Fernandez, an organizer with Jobs with Justice. “This policy choice only benefits a select group of rich people while the majority of us are left behind or pushed out,” said Michael Callahan-Kapoor. Several council members also voiced reservations including Doug Pardue, Scott Davis, and Kathleen Murphy but they ended up voting in favor of the deal. The vote was 30-3 with one abstention. The Council blocked the sale of 11-acres along the Trinity Hills Ridge between Whites Creek Pike and Brick Church Pike. 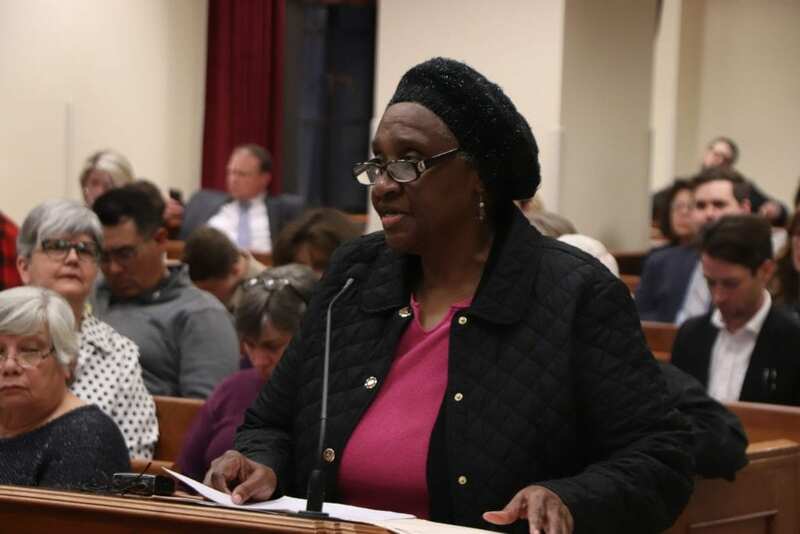 It is forested land with running creeks and it is a connector between 83 acres of Metro Park land which the Haynes-Trinity Neighborhood Coalition wants to combine and have Metro Parks take it over as a new neighborhood park. “The land has a very steep and beautiful ridge and gorge with a double stream running side-by-side through it, with a historic abandoned road called the Old Natchez Trail,” says the change.org website. The second reading of the bill had been delayed three times. Members of the Haynes-Trinity Coalition had been organizing for months. Council members debated for maybe ten minutes, then voted. “Oh yeah, it’s dead. It’s over. We won!” laughed Winne Forrester of the Haynes-Trinity Neighborhood Coalition. “I was surprised as anybody. We worked our tails off on this. A lot of credit goes to our environmental partnerships, the Middle Tennessee Chapter of the Sierra Club and we also worked with a group called Nashville Tree Task Force,” said Forrester.